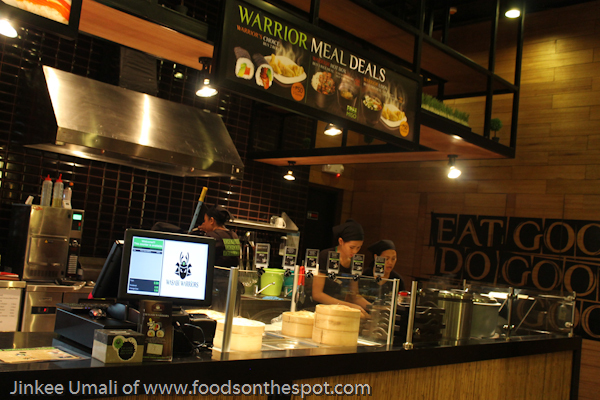 Anticipating the increase of Wasabi Warrior branches nationwide helping busy Filipinos like me to make better food choices and adopt healthy lifestyles eating those best yet fresh ingredients at affordbale price. I’m always on the look-out for healthy alternative eating out whenever I’m in the metro. It’s not a problem if I stayed at home since I can prepare and cook what I love to eat. If I have a time to cook for my packed meal, I would do so. If not, have no choice but to eat-out. When I got a chance to visit Wasabi Warriors and talked to Kimmi Siu Dewar, their chair head, this is also her dillema while staying in the Philippines. 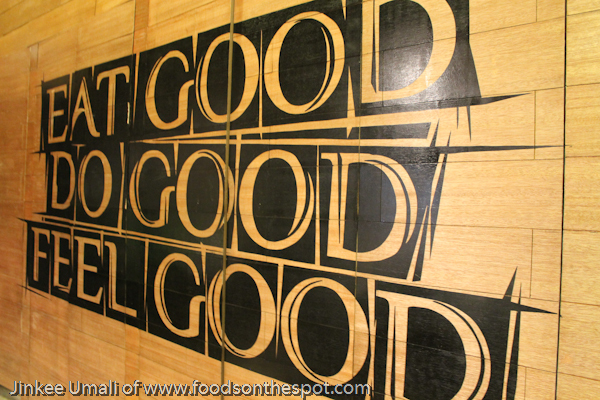 There are lot, as in a lot of food chain but only numbered are offering health food intake. 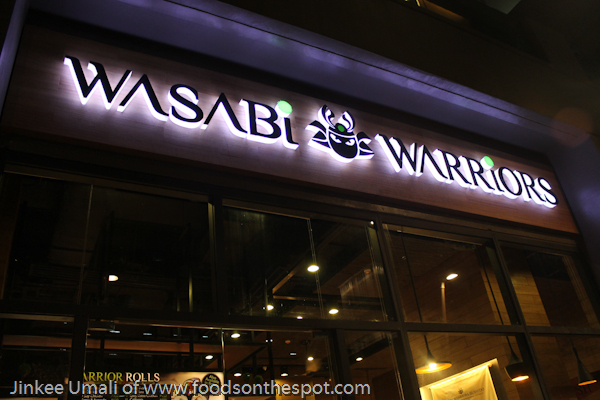 Thus, the build of Wasabi Warriors in the Philippines born with the common objective to set out to become the Filipino’s newest ally in the fight to eat good, do good, and feel good becomes a reality. 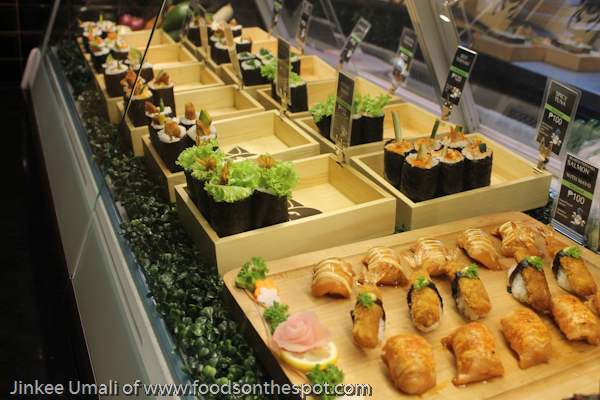 Opening its doors in the heart of Makati’s central business district, Wasabi Warriors is an Australian sushi chain started with a green heart. One of dozens of highly successful restaurants across Australia, the United Arab Emirates, and Hong Kong, the brand was introduced to the Philippines by Swinging Chairs Establishments, Inc.
Clean, simple interiors with a clear glass selection of food to get especially if the customers is on-the-go, one can get the orders ASAP – convenient yet practical. 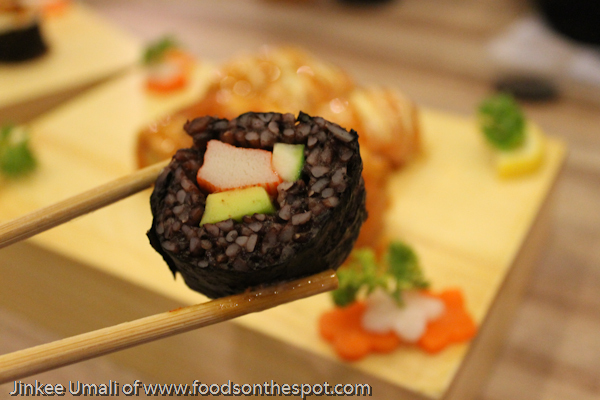 Wasabi Warriors as Japanese cuisine not only provides fresh, delicious food for the country’s discerning diners, it also honors the Ocean, the Earth, and Animals through its use of locally-sourced, sustainable ingredients and premium produce. 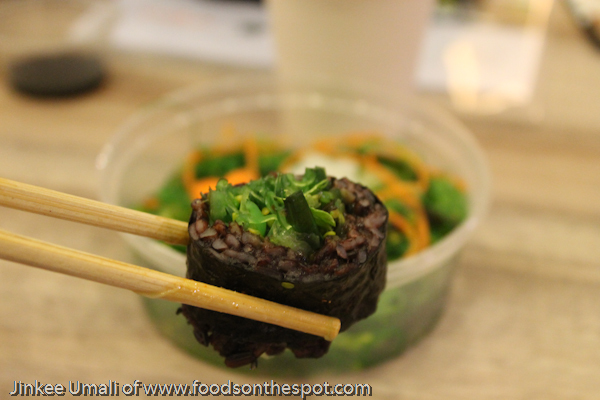 Cupping the night w/ Wasabi Warriors rice rolls, one can eat good, do good and feel good. 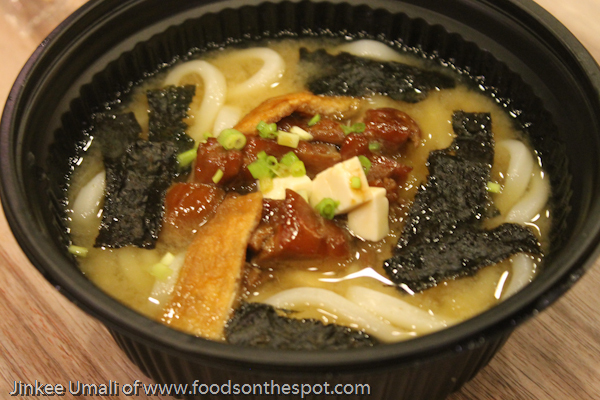 For a start, pipping hot of Miso soup was served which was rich in taste. 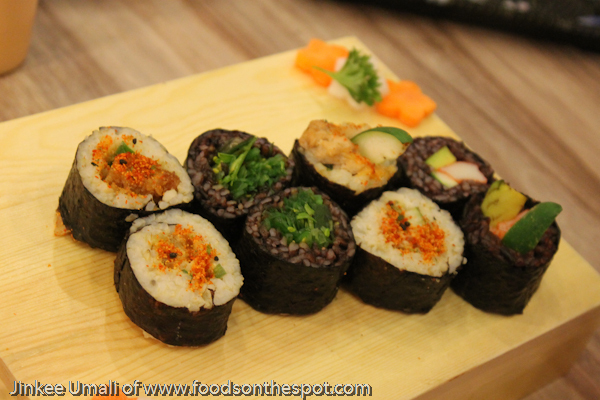 Premium rolls from white, brown and black rice which has the same price for each serving is already a big deal. From the selection, my favorite would be the tuna, chicken and prawn. 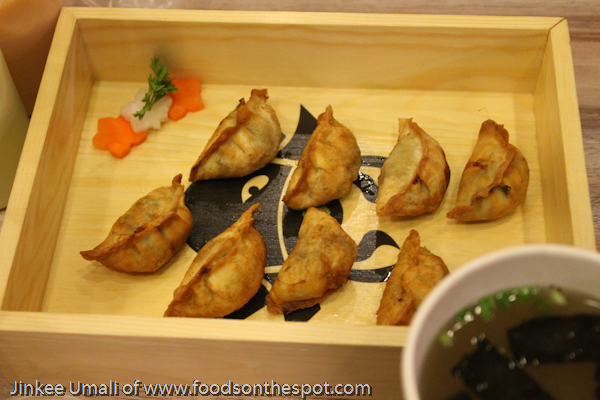 Fried gyoza is also available but again I would rather eat this steamed as always. 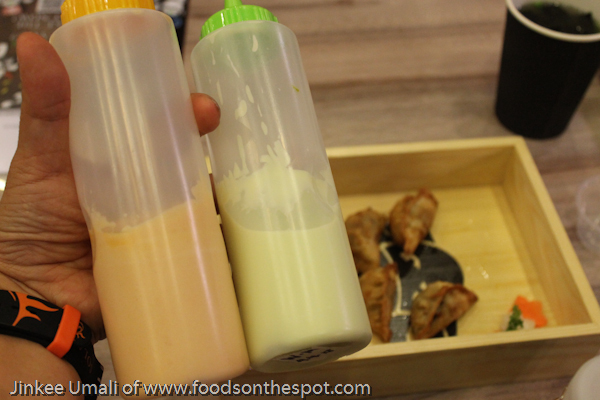 A variety of sauces like the Wasabi Mayo and Spicy Mayo made it different as dipping unlike the traditional soy sauce. Trying the two considered literally they are spicy, I go more on the distinct taste of wasabi mayo. 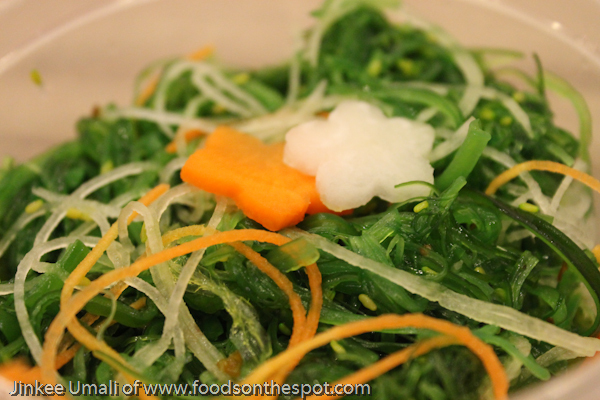 Partnering these rolls is the seaweed salad which I am always a fun is definitely a healthy intake. Maybe because, it is considered to be incredibly nutritious especially if this is served fresh once you tasted it. 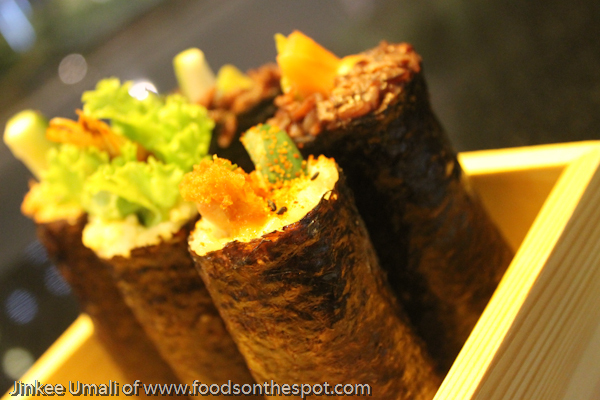 They also served as Seared Teriyari Salmon – regular and spicy flavor. 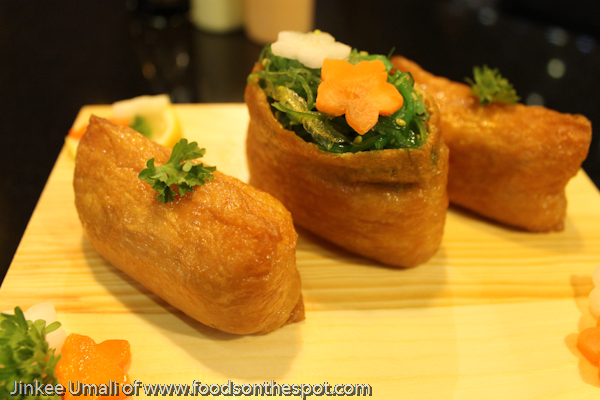 The marinated flavor of teriyari sauce made this dish outburst the flavor of salmon. To make it more exciting, have tried the spicy one which is quite tolerable. 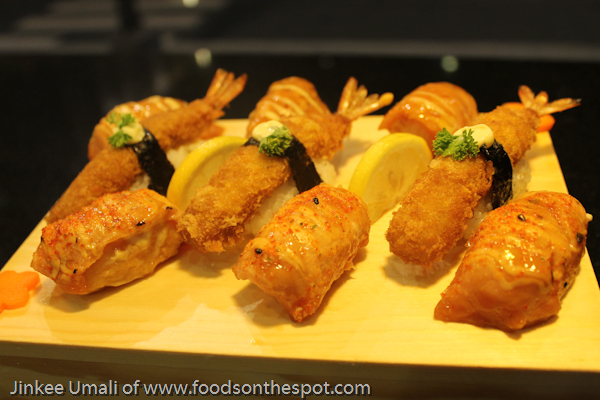 Seared Teriyaki Salmon and Crumbed Prawn at Wasabi Warriors just what I like for #Japanese #healthyeating. 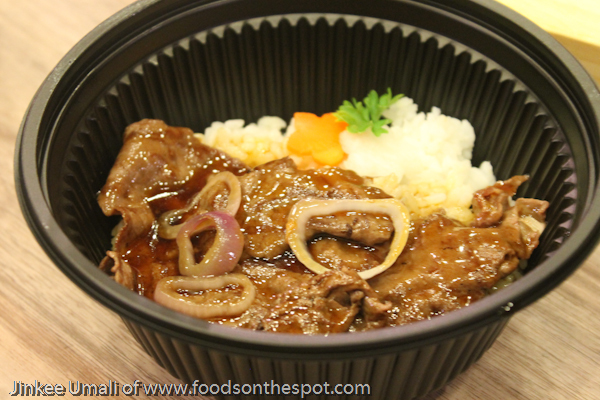 Rice meal and ramen are also available for hot meals like the Udon Soup and Beef Teriyaki Rice. Unsold food within a day will be given to their partnered instituion for donation. 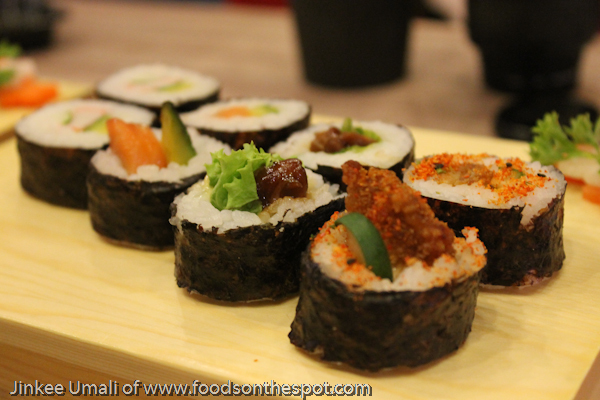 So one can expect quality yet freshly made sushis produced and served everyday. To further uphold their advocacy of supporting the future of the Philippines, Wasabi Warriors sources ingredients from local farmers and suppliers and, as part of their recruitment program, will collaborate with local youth organizations assisting the social and professional integration of young adults living in extreme poverty. 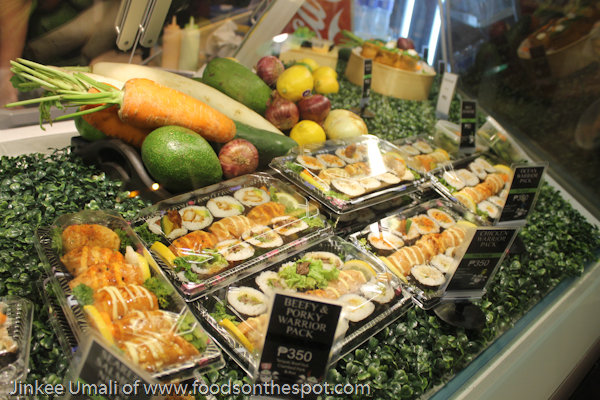 Anticipating the increase of branches nationwide helping busy Filipinos like me to make better food choices and adopt healthy lifestyles eating those best yet fresh ingredients at affordbale price that would never have to compromise health for ease and convenience.